On his fourth birthday, eager and energetic Banyan bounced into Friends of Kids with Cancer’s office excited to give up his birthday toys, well sort of. 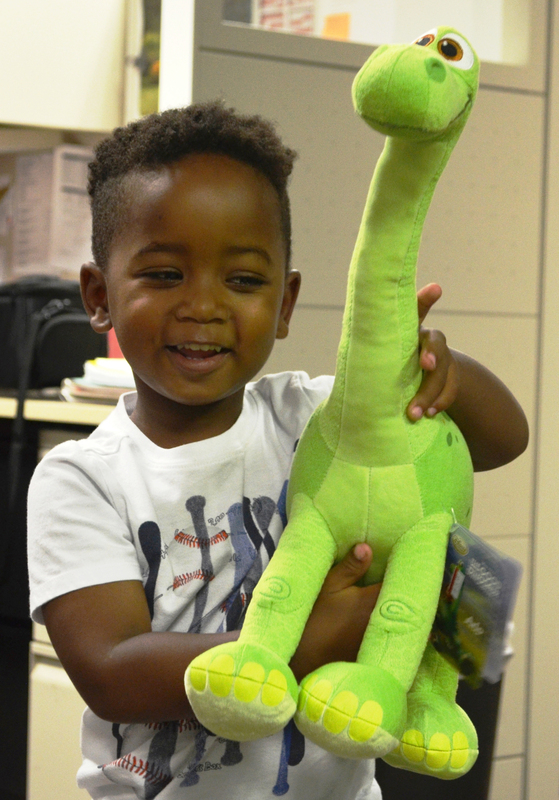 Banyan wasn’t quite ready to give up the stuffed ‘Arlo the Good Dinosaur.’ In lieu of a birthday party, Banyan’s parents, Dianna and Jeff, decided to host a toy drive for Friends of Kids with Cancer. Jeff and Dianna’s niece, Keira, is a sweet and spunky 9-year-old girl battling a rare form of Rhabdomyosarcoma. Unfortunately, Keira lost her best friend Caleb to cancer last year on Banyan’s third birthday. When Jeff and Dianna were planning for Banyan’s birthday, they wanted to give back, in honor of Keira and in memory of Caleb. “We couldn’t just sit back and do nothing. We wanted to do something good in his (Caleb) name and to help other children and families and to bring them hope, love, and support,” said Dianna. The family brought in a car load of toys to restock Friends’ toy closet, which has gotten low this summer. Friends’ keeps the toy closets at each treatment center stocked so that every time a child goes in for treatment, they get to pick out a new toy. “We wanted to give back to Friends of Kids with Cancer because they have given so much to our niece, Keira. This organization has supported our family,” said Dianna. Jeff and Dianna still had a special celebration for Banyan’s birthday, one that he would keep with him forever. “We went to a cooking class as a family and made chocolate chip muffins, pizza and trail mix. A lot of the gifts we give Banyan are not gifts, but experiences we have as a family,” said Dianna. Thank you, Jeff, Dianna, and Banyan, for giving back to the kids who need it most! 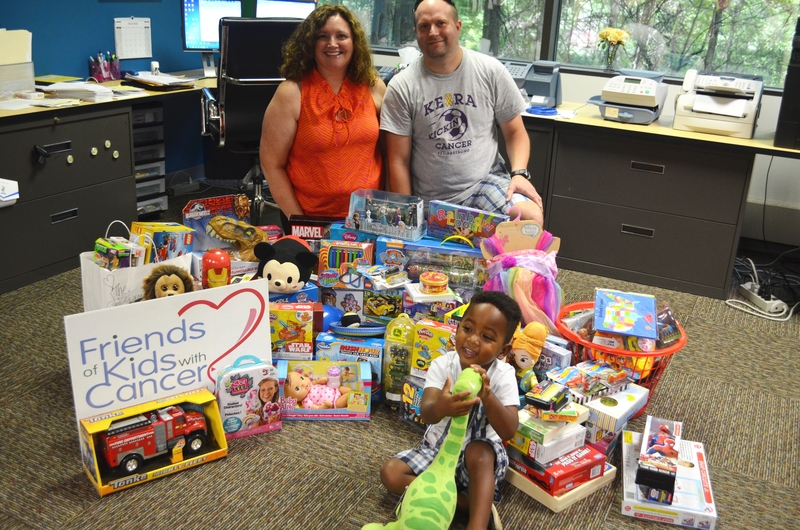 Learn more about Friends of Kids with Cancer’s Toy Closet.